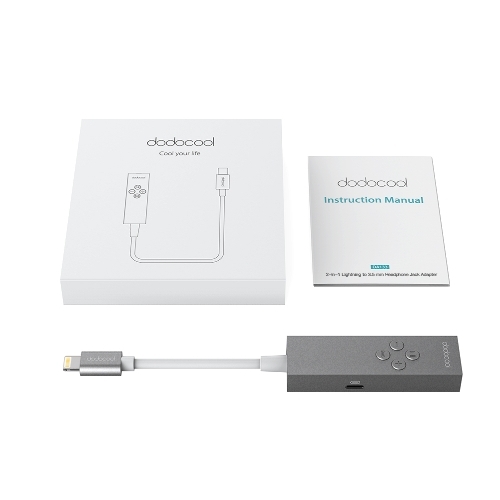 dodocool MFi Certified Lightning to 3.5 mm Headphone Jack Adapter makes it possible to listen to music and power your iPhone simultaneously in the car, on the go, or at home. 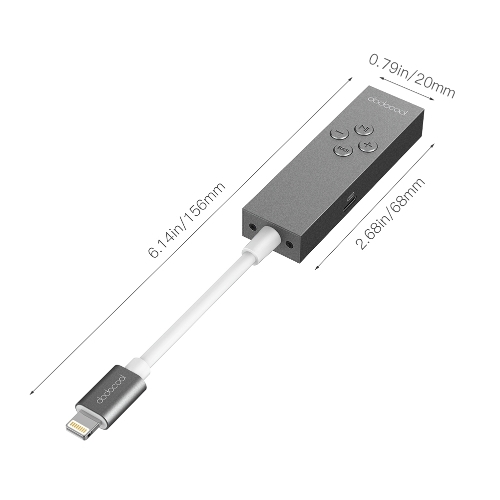 Support high-speed data transmission of up to 480 Mbps and charge your device at up to 5V / 1A. 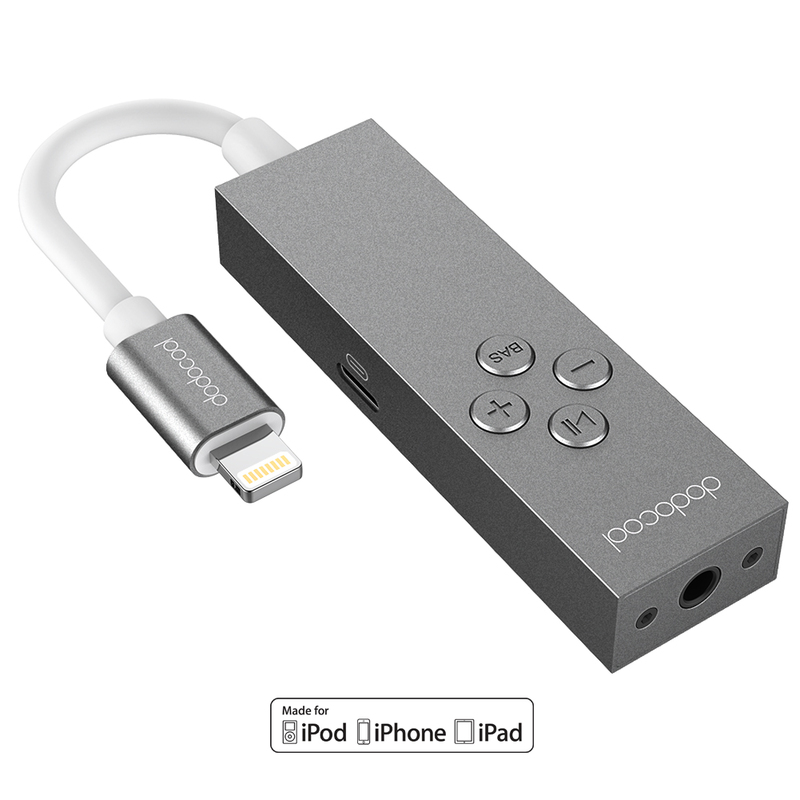 Accurately restores the 24-bit / 48 kHz digit audio stream output of your iPhone / iPad Pro / iPod touch to your earphones. Slim and compact. 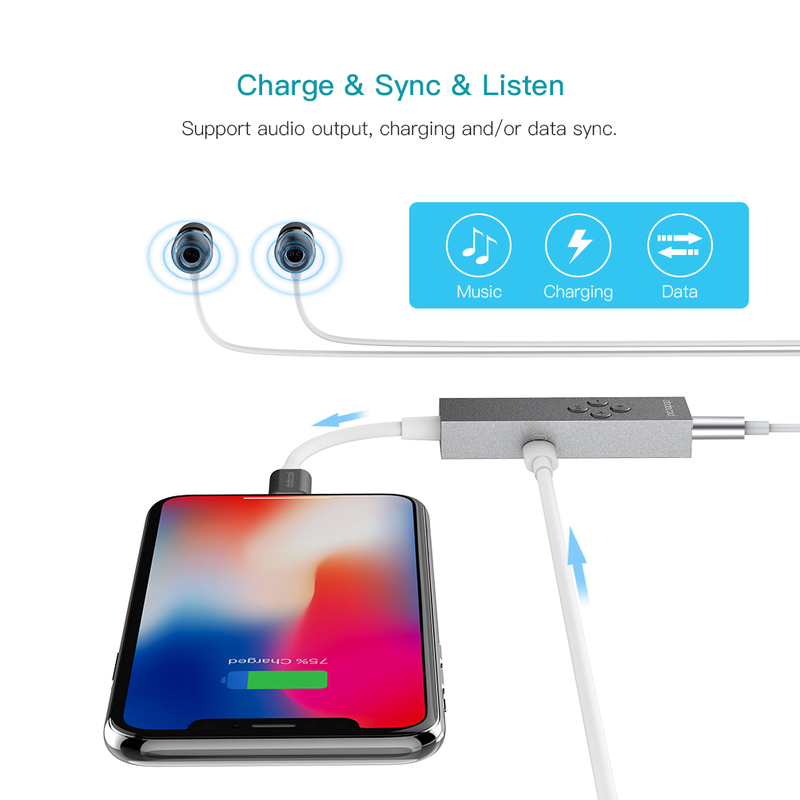 No extra power supply is required. 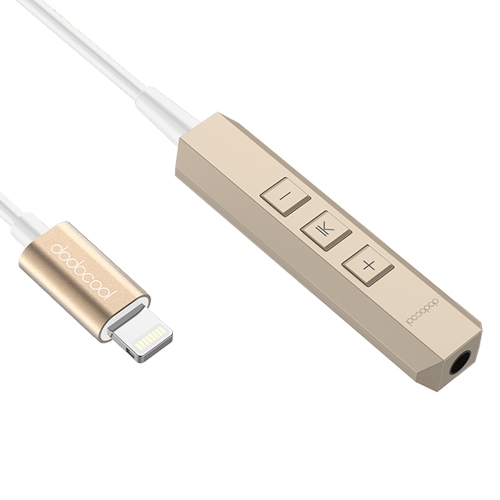 Specially designed for iPhone X / iPhone 8 Plus / iPhone 8. Compatible with iPhone 7 Plus / iPhone 7 / iPhone SE / 6s Plus / 6s / 6 Plus / 6 / 5s / 5c / 5 / iPad Pro / iPad Air 2 / iPad Air / iPad (4th generation) / iPad mini 4 / mini 3 / mini 2 / mini / iPod touch (5th, 6th generation) with Lightning Audio Module. 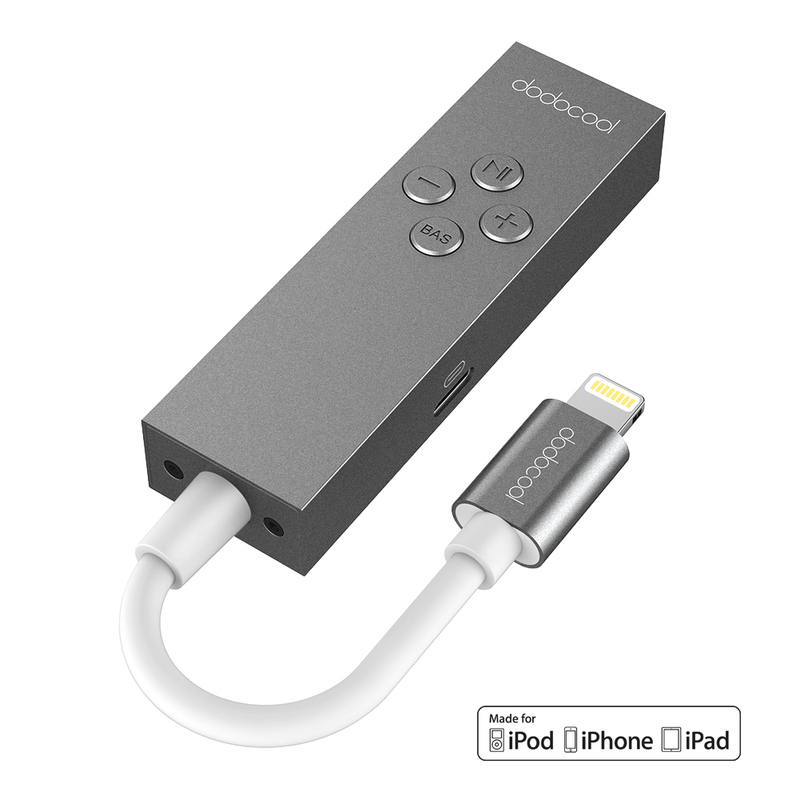 Support iOS 9.0 or later. 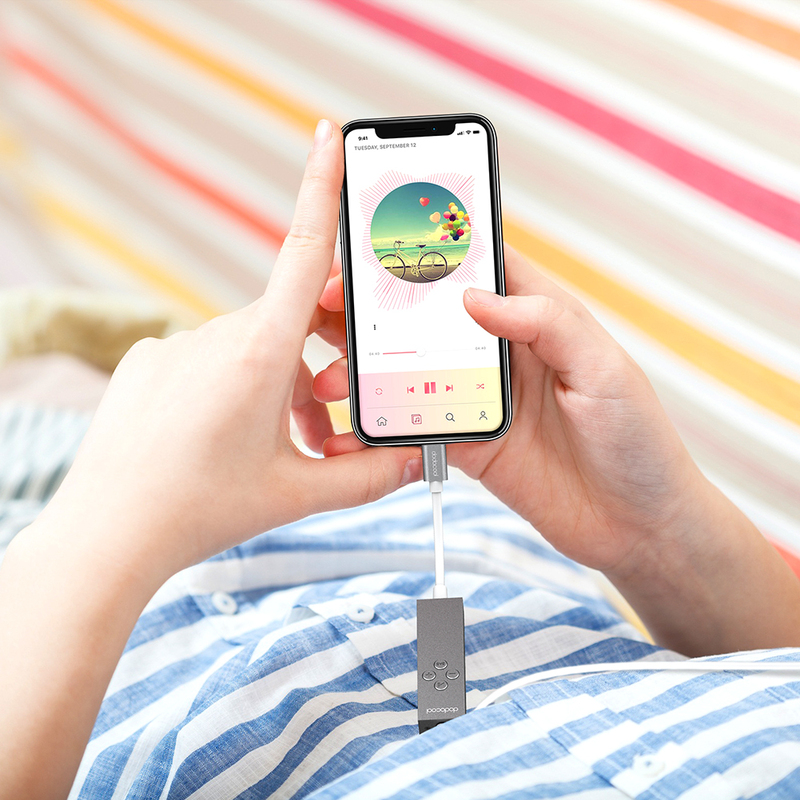 The adapter supports high-quality audio output of up to 24-bit / 48 kHz audio and provides clear conversations and changes songs for your Apple Lightning devices. 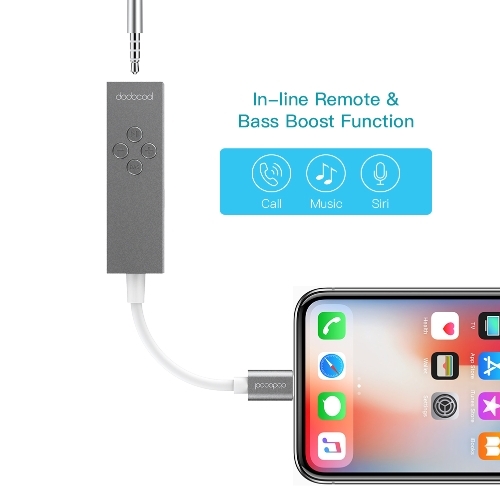 In-line multifunction button and other control buttons let you handle calls, control audio/video playback or use Siri function. 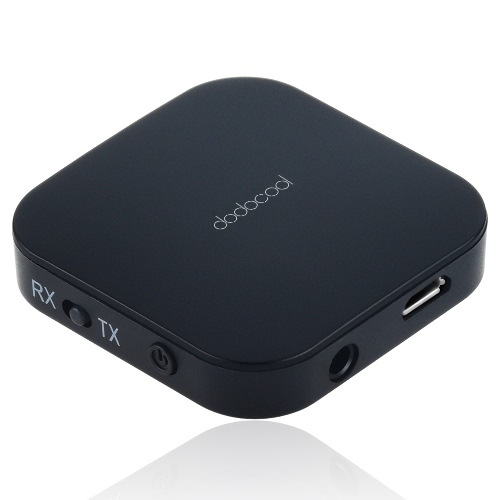 You can also enjoy the modulation of rich bass with a single press at the Bass Boost button. 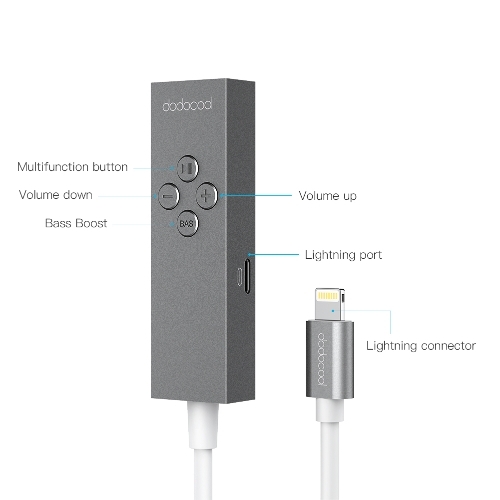 Support audio output, charging and/or data sync. Perfect for listening to music/handling calls and charging/syncing your iPhone X / iPhone 8 Plus / iPhone 8 / iPhone 7 Plus / iPhone 7. 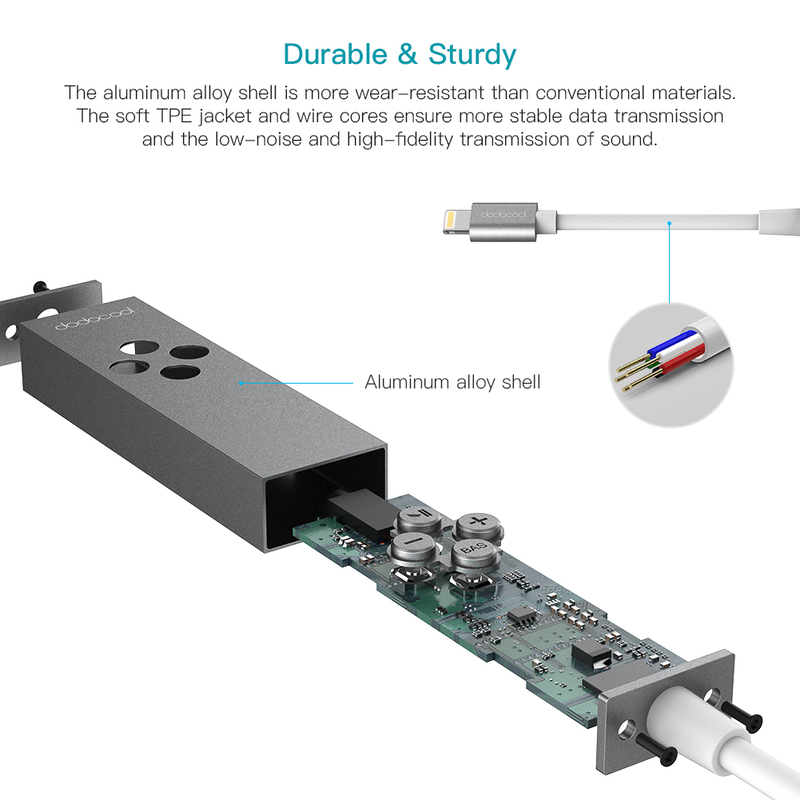 The aluminum alloy shell is more wear-resistant than conventional materials. 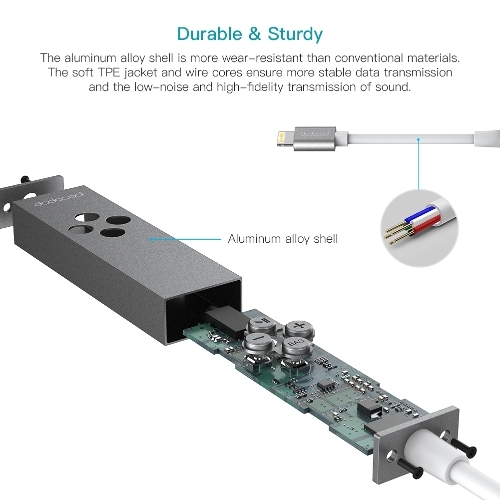 The soft TPE jacket and wire cores ensure more stable data transmission and the low-noise and high-fidelity transmission of sound. Plug and play. No additional power supply is needed. It's easy to carry in your bag or pocket thanks to its compact structure. 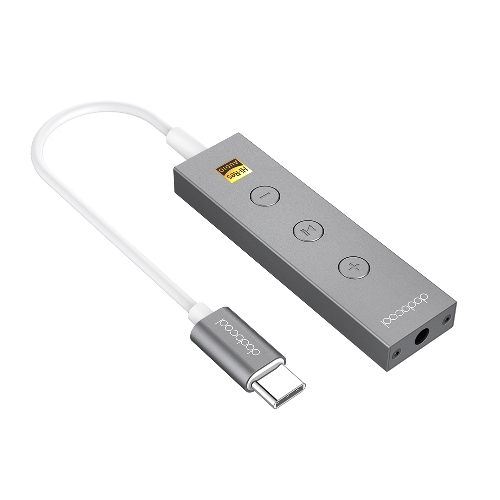 Ideal for home, office, car and travel use.